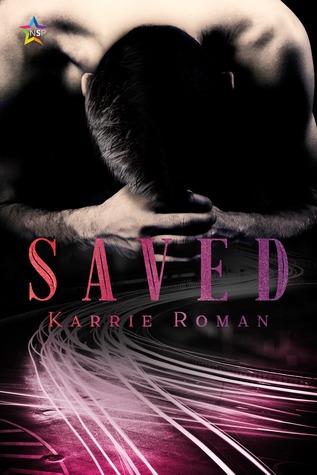 Saved by Karrie Roman is a gritty read that has a who dun it type quality to it. I loved this one. Great mystery and intense romance. Jack is trying to catch a copycat killer. He doesn’t have the best people skills. He is the last person you want comforting you. He sees the seedier side of humanity and it has jaded him. Will could tolerate small groups of people. He doesn’t trust anyone. Holds up in his apartment. He is terrified. He doesn’t know anything about the cases and doesn’t want to rehash the past. He was a victim and held captive and doesn’t want a repeat of the past ever. They think because the last killer wanted Will to be like him. Made will watch killings and brought home, someone, for him to kill that he might be the new copycat killer. Jack, however, doesn’t believe that he just has to prove it. These two have had the worse happen to them and survived. They are stronger than they think and together they set the sheets on fire. I loved this mystery thriller and want more in the future.